ACT! 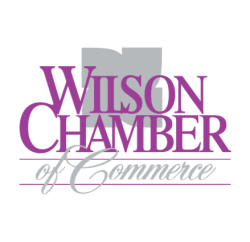 for Youth presents the Wind in the Willows - Apr 5, 2019 - PublicLayout - Wilson Chamber of Commerce, NC ? The Wind in the Willows is a comedy based on the children’s book of the same name by Kenneth Grahame. What begins as a peaceful summer on the River is soon disrupted by Mr. Toad, who sees his first motor car and falls uncontrollably and obsessively in love with motoring. After crashing several cars, he steals one and lands himself in jail. His good friends Mole, Badger and Water Rat make every effort to protect Toad's residence, Toad Hall -- but are instead ousted by the Ferrets and Weasels of the Wild Wood. Will Toad escape from jail and regain Toad Hall? Will he learn a lesson about his boastful and impetuous ways? This spirited adaptation of a timeless classic will be great fun for the entire family! April 5-6, 2019 at 7:30 p.m.
April 7, 2019 at 3 p.m.
ACT! for Youth 2018-2019 season tickets are now on sale. Individual show tickets are available approximately six weeks prior to the show.